With the promise that warmer weather is on its way we’re getting excited to spend more time outside eating, drinking, and being merry. But in order to do that, we need the perfect place. 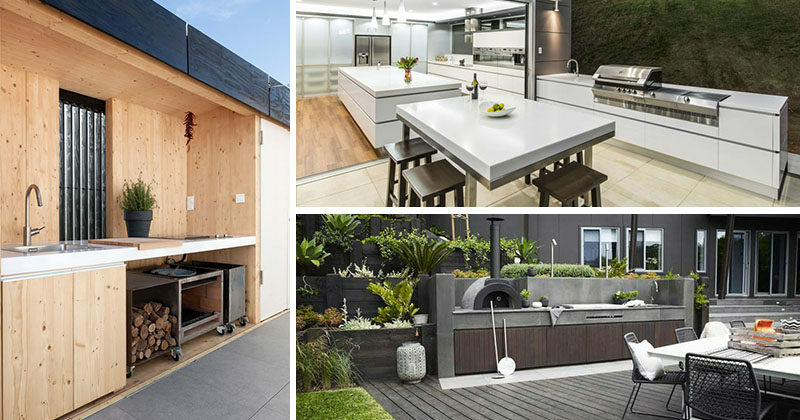 Today we’re sharing 7 ideas for creating the perfect outdoor kitchen that will serve you both in the spring and summer months, but can also be used year-round should you feel so inclined. Including a wood fired oven in your outdoor kitchen will let you cook a range of meals, plus you get that authentic smokey flavor. 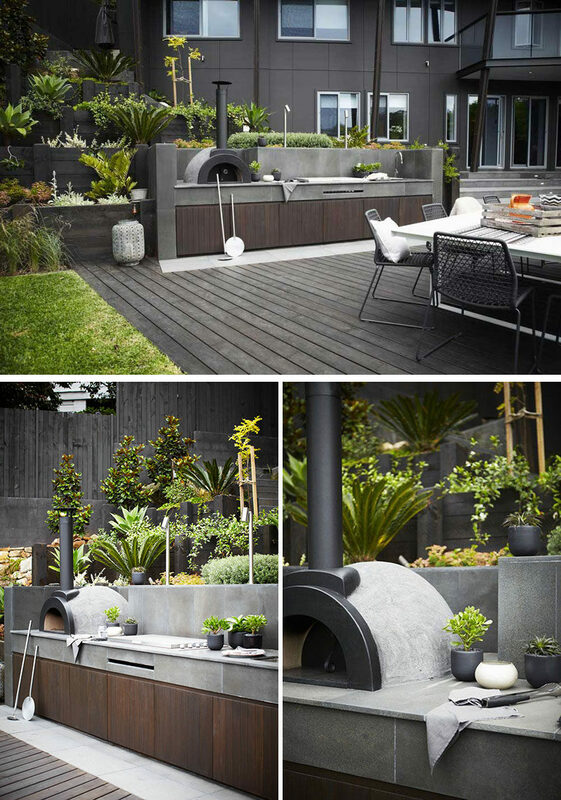 Harrisons Landscaping designed this outdoor space for a home in Australia. See more outdoor bbq areas, here. Rather than going back and forth between the grill and the kitchen inside, keep your ingredients and materials close by. You can install refrigerated drawers so that the food that needs to be kept cool right up until it hits the grill is fresh, even if you have to cook it later. Inspiration from a kitchen designed by Ronda Outdoors. 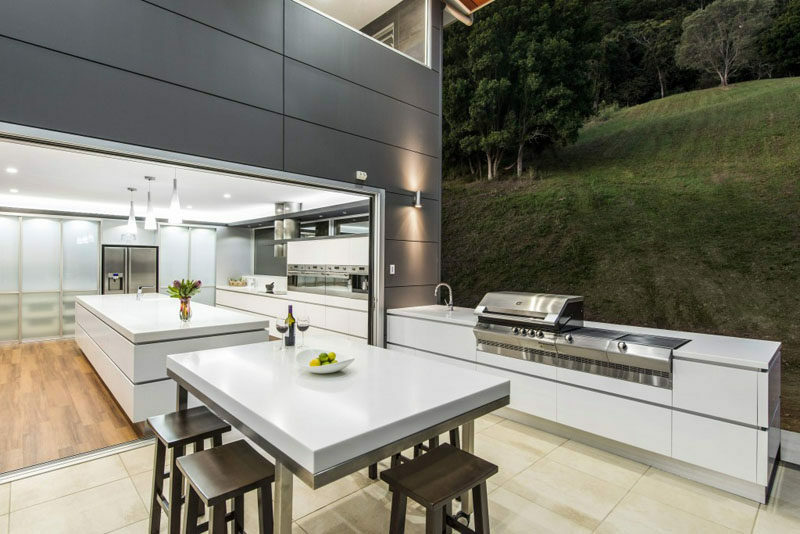 Make your outdoor kitchen design look extra modern by having your countertop and work surfaces continue from inside. 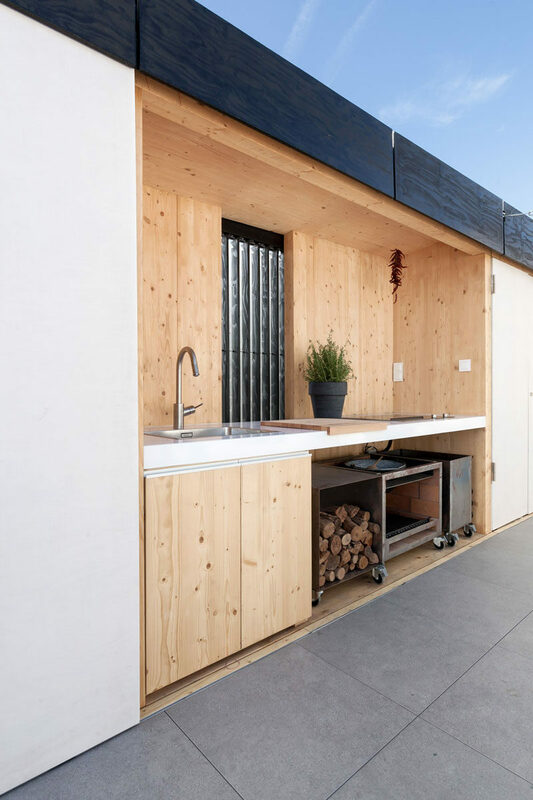 It creates clean lines and makes the outdoor kitchen look like an extension of the kitchen inside. Inspiration from a home designed by De Matos Ryan. Photography by Hufton+Crow. Inspiration from a kitchen designed by sublime. Wood is an excellent material to use in an outdoor kitchen. It’s durable and when paired with clean lines and modern materials it creates a contemporary look that works with whatever design you create. Wood can also be finished and refinished, or painted multiple times allowing you to change the look of it over the years. Specht Architects designed this house in New Canaan, Connecticut. Photography by Elizabeth Felicella. 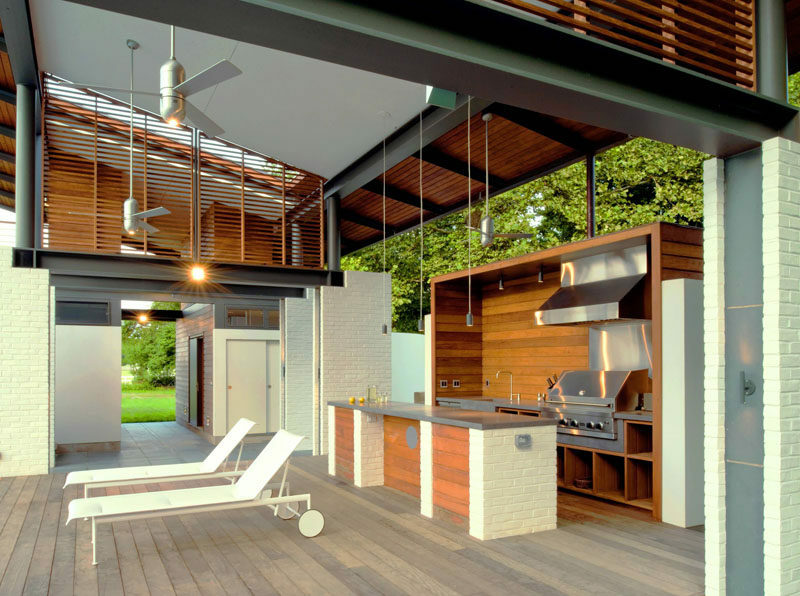 McInturff Architects designed this summer house in King George, Virginia. Photography by Julia Heine. Barbecues are great and are often included in an outdoor kitchen, but if you want to take it up a notch, include a built-in cooktop or grill as an alternative cooking option. Installing a sink makes food prep easy and clean-up even easier. Odooproject designed this indoor/outdoor space. Photography by Balázs Danyi and Solar Decathlon Europe. If you’re going to include a state of the art kitchen in your backyard you better have the space to entertain properly out there as well. 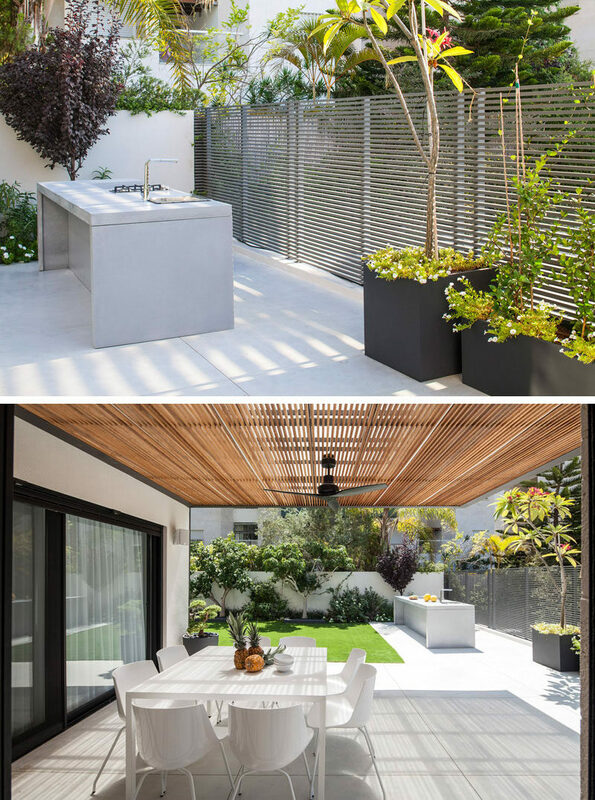 Dedicating half of a covered outdoor space to a fully functioning kitchen and the other half to a gathering space or entertaining area means that dinner parties and other events can happen outdoors regardless of the weather. Rolling Stone Landscapes designed this outdoor pavilion. Inspiration from a project designed by Kastell Kitchens. 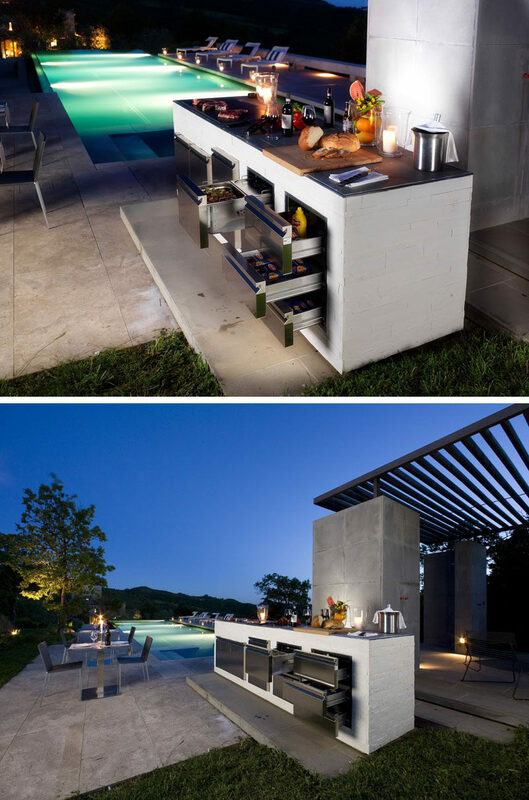 Outdoor kitchens don’t have to be anything too fancy. 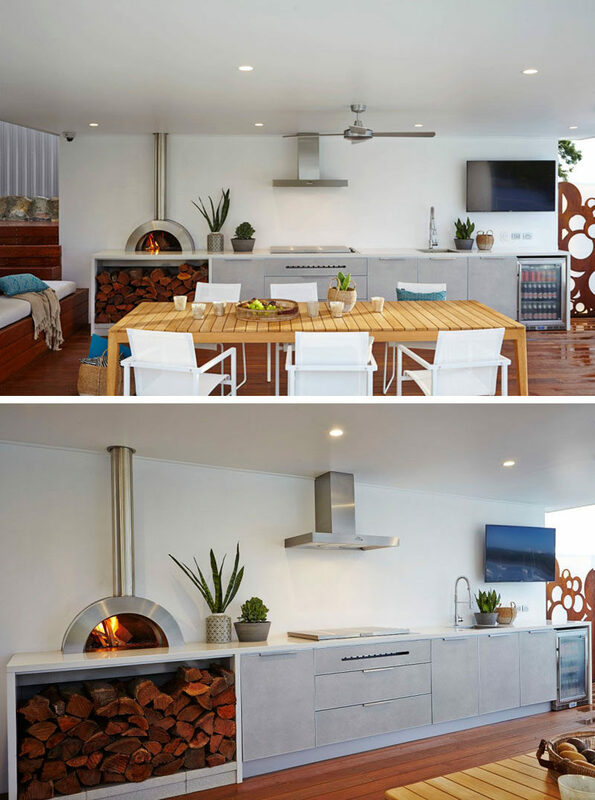 A place to cook the food and a place to sit and enjoy it are really the only things you need to create a functional outdoor kitchen. 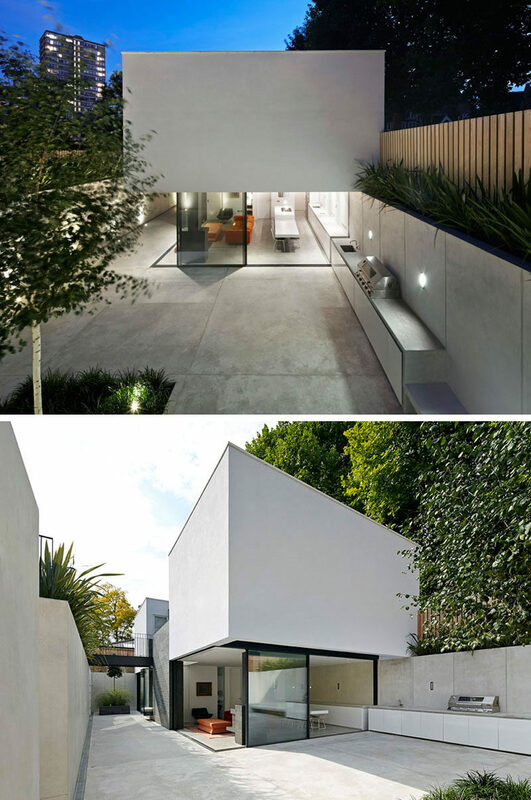 Tal Goldsmith Fish Design Studio designed this modern family house. Photography by Amit Geron. 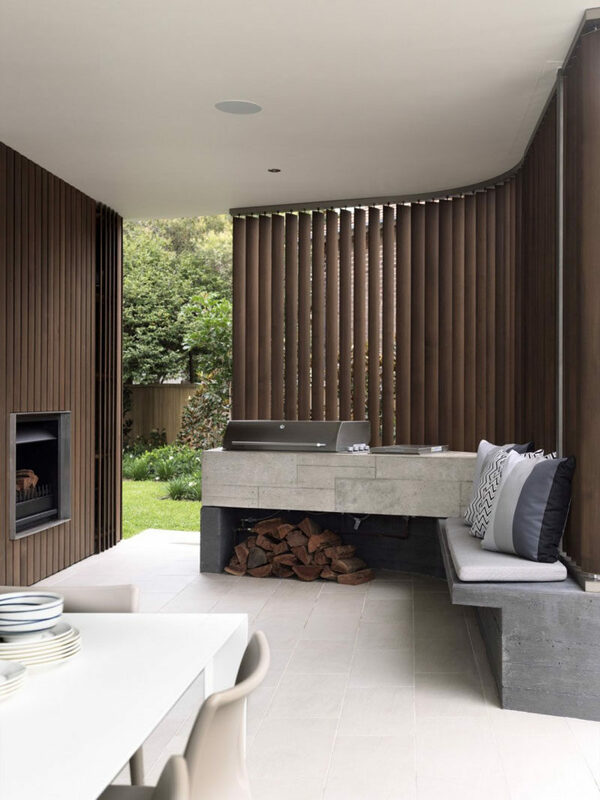 Luigi Rosselli Architects designed this modern house in Sydney, Australia. Photography by Justin Alexander.